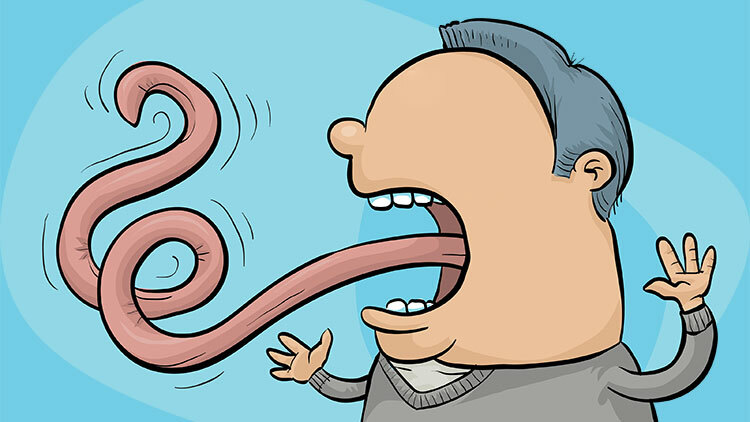 Home > Friday Lessons > Do you find it difficult to manage your tongue? Whenever you talk them, then talk with respect, the Arabic term here is ‘Qaulan kareema’ Kareem means ‘honourable’. This includes speaking uttering in a respectable tone and use those words that makes parents happy and feel positive. Always exclude hurtful words and tones. Never be ruthless and lose your temper while talking to your parents. Allah has forbidden to be harsh and rude towards parents in words and actions. Today it is a common trend to desert parents and insult them through scoldings and many do it after getting married. If a man give his wife a priority over his old parents then it is a huge painful shock to them. There is a Hadith with says that whenever you visit a sick person or a person who is under severe difficulties, then talk very gently and positively. This applies even when you attend a funeral, talk good, gentle and speak about the virtues of forgiveness and mercy of Allah. We are supposed to encourage the sick and give them hope of the Mercy of Allah and His Forgiveness because Angels are present there and they say ‘Ameen’ to your words . Consider this: You are at a funeral and you say, “May Allah forgive his sins”, you do not know how many angels are there to say Ameen to your words! The supplication of the angels can be a source of good for the deceased or the sick. Supposed you utter a wrong statement and that too is joined by Ameen of the angels, how much harm have you caused! Never underestimate the power of tongue. It can cause benefit and harm as well. Most of us have not valued the benefits of good usage of tongue that is why a majority of problems in society which including, rifts between spouses, family members, business partners have their epicenters in our tongues. Wrong usage of tongue or indisciplined statements hurling hurtful words have disturbed the peace in society. It is Shaytan behind this instigation. Therefore the Qur’an instructs us in Surah Al Isra, “Tell my worshippers that they should speak only that which is good because Shatyan sows disagreements between them.” Thus Shaytan makes us use our tongues in a rude manner and causes fights and disputes. Making us misuse our tongue is among the biggest weapon of devil. A very noteworthy companion Muadh ibn Jabal, (Allah be pleased with him) once received a few very important guidelines from the Prophet (peace be upon him) and one of them was, “The biggest threat to all your good deeds comes from your tongue.” and he pointed his finger towards his tongue. This advice was a response to the question posed by Muadh (Allah be pleased with him) to inform him about a deed that can guide him to Paradise. It is the misuse of tongue that can destroy all your good deeds. Upon hearing this words, Muadh (Allah be pleased with him) asked, “Will we be questioned for what our tongue says?” He replied, “ By Allah, on the day of Qiyamah, many people, inspite of their lengthy worships, huge charity, will be dragged and thrown in the hellfire because of their tongue. Therefore if you speak, then speak good, otherwise keep quiet.” You will be accounted for whatever you say. Good words will lead you to Paradise and evil words will lead you to hellfire.